Dirk is a Scottish word for long dagger. 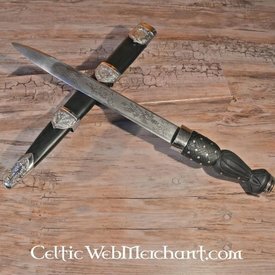 Daggers like this were mainly used by the Scottish army after the Battle of Culloden. 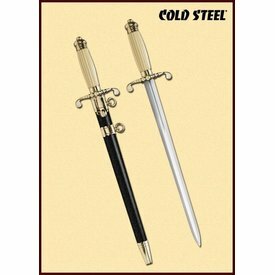 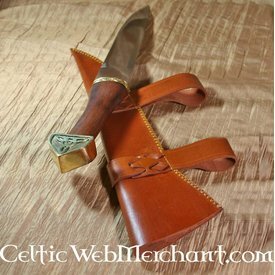 The dagger is completely handmade and has a wooden handle that is covered with leather. 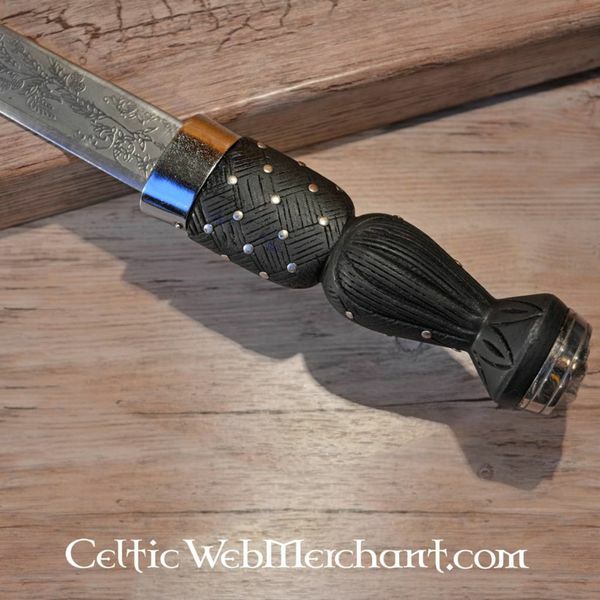 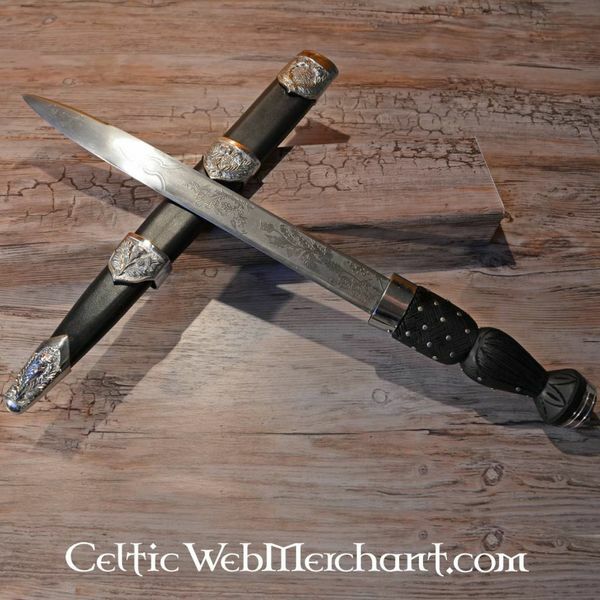 The dagger has an engraving of the Scottish national emblem, the thistle. 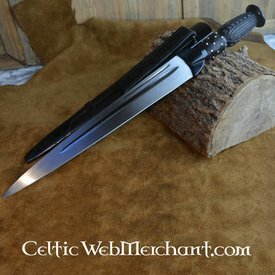 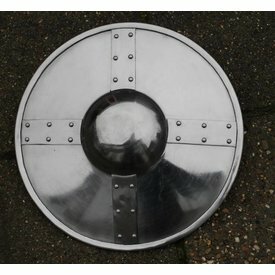 The dagger has a length of 45 cm and a blade of 29 cm.